ISLAMABAD: Former finance minister Ishaq Dar lamented the economic policies of Pakistan Tehreek-e-Insaf (PTI) government and said that they caused major setbacks to the country’s stock exchange network. In an interview to a private TV channel, he said that PTI’s policies also led devaluation of Pakistani rupee, which put the country under heavy economic pressures, in term of capital flow and investment. He said that the merger of stock exchanges of Karachi, Lahore and Islamabad was a landmark achievement of the Pakistan Muslim League-Nawaz (PML-N) government. He said that as the finance minister, had taken a wise-step by integrating Karachi Stock Exchange (KSE), Lahore Stock Exchange (LSE) Islamabad Stock Exchange (ISE) to form the national stock exchange. He asserted that it was a high time to take some administrative and fiscal steps to save the country from the economic debacle. 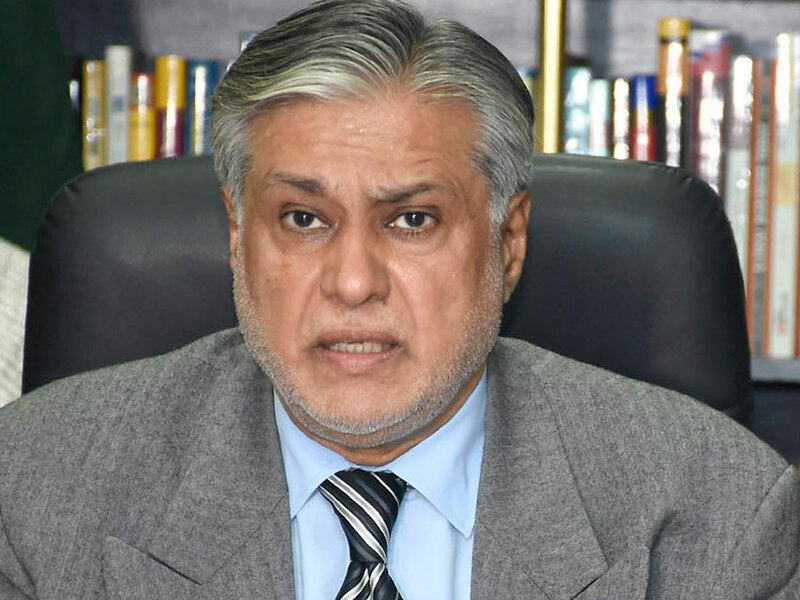 Terming the present government’s economic policy a complete failure, Dar said that Pakistan should have joined the G-20 Group by now but that does not seem possible now. Currently, the country’s stock-exchange is facing a highly miserable position and it is because of the wrong decisions of the present government, he added. Let’s save the country from total economic disaster by taking wise decisions, preferring national interest, rather following the International Monetary Fund’s (IMF) dictates. Dar was of the view that the devaluation of the rupee in the recent months was a “cruel and unnecessary” decision which was deliberately taken to adversely impact the progress achieved in the past. He pointed out that there was a time when all major financial institutions had declared Pakistani rupee as Asia’s ‘favourite’ currency, but now the things were going down the drain. Suggesting that the decision to devalue the rupee was taken to deliberately trouble the government, Dar said that “external and internal conspiracies” had joined hands against the country.